The Snow Foundation is a long-standing supporter of the Country Education Foundation of Australia (CEF) and has provided grants to the local CEF foundations of Cooma, Yass, Goulburn and Braidwood since 2010, supporting school-leavers to pursue their post-high school career goals. The volunteer-led foundations use their knowledge of and commitment to their communities to identify, nurture and mentor the young people of the Canberra region. The aim of the grants is to provide assistance for rural and regional students (specifically school leavers) who require financial support to pursue tertiary level education. Most of these students face significant relocation and living expenses when they are required to leave home to be able to take up university, college and vocational courses. Students from these regions have gone on to pursue careers in engineering, agriculture, archeology, medicine, education, carpentry and business among many other interests and endeavors. In addition to the locally based student grants, Snow Foundation supports CEF to increase its reach and impact on rural and regional youth. Recently the Snow Foundation has committed to assist CEF roll out its all-important Alumni Project. The Alumni Project enables CEF to develop an ongoing relationship with every former grant recipient of CEF. The alumni group is estimated to be almost 4500 in size. This number is every country kid who has received CEF fund since our inception. This number grows at a rate of about 500 recipients per year. The CEF Alumni Project is currently in Phase Two of its implementation and is key to CEF’s growth and sustainability ensuring country kids can afford to aspire to whatever career they wish, well into the future. The New Parent Infant Network (NewPIN) is a highly effective, evidence-based program that supports families where the relationship between parent and child is damaged or tenuous. UnitingCare Kippax has received funding from The Snow Foundation for 8 years (2008-2016) for a full-time worker who supports 10 families over a 2 year period, creating generational social change. *Claire joined Newpin through a referral from the social worker at the Calvary hospital. Initially, she felt she did not see herself benefitting from the program given that her child was very young at the time of the referral (3 months old) and that the activities were not relevant to her child’s age as yet. C had a difficult time in the early part of her parenting experience. Her daughter had oral aversion and was not taking in the bottle. It would take C 1 hour to finish a bottle feed, relying on each droplet of milk that her child would only take when she is asleep. This made it difficult for her to get out of the house. C had fears of her child not thriving and seeking medical help was a slow and tedious process. She also struggled with picking up the baby’s cues and was exhausted. She felt she is failing as a parent. Due to her own experiences of how she was parented and having strong cultural influences, C experienced lots of fear and doubt in her own parenting. She was also quite isolated being a full-time mother who had low confidence in her English speaking skills. C started to consider the program as she made friends with fellow members. She particularly enjoyed the parent development programs and as she got more knowledge and understanding of parenting, this helped her have a better relationship with her child. C also found that she has started to reflect on her own experiences to understand what she feels towards her child and their situation. It equipped her with understanding to combat her fears and worries. C shares that after 2 years in Newpin, the biggest outcome is that she is now more aware of her own feelings and emotions and she can tune in better with herself and her child. She has also started to accept that parenting is not easy and that she is not perfect. Because of all these, she has now started to feel that parenting is rewarding and appreciates the good and not so good experiences that come with it. Most important to her are the relationships that she has formed with the other mothers, volunteers, staff and the community. C is now an official parent volunteer in Newpin. She shares her skills and experiences to other new mothers and gives them support. C plans to continue to work hard to apply everything she learnt in Newpin and to keep identifying her own limitations in parenting and work around it. She hopes to become a role model to other mothers. C would eventually like to go back to the workforce. 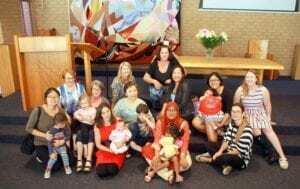 Newpin has referred her on to the Community Connections program of Uniting Care Kippax to receive assistance in education and work placement. Mina* was referred to NewPIN by ADACAS (advocacy service). Mina’s daughter Raine* (4yo) has been in out of home care for almost a year, this is the second time she has been removed. Mina has struggled from a long history of DV, mental health issues and strained relationships with Care and Protection workers. Mina was very apprehensive to work with any service due to the trauma she suffered from her past experiences. According to Mina, she has never been referred to a parenting support program throughout her involvement with CP. Mina has been involved in countless incidents of arguments and grievance cases against CP and Barnardos workers. Mina is clearly very traumatised which explains the defensive and dysregulated behaviour she displays when triggered. She was very keen to join NewPIN in hopes that a parenting support program may help her get her daughter back, however she was still very hesitant to work with anyone. Her first few weeks in NewPIN, Mina was very avoidant, defensive and easily triggered. She was also very suspicious of staff and other participants. NewPIN recognised this and focused on building a supportive, non-judgmental and therapeutic relationship with Mina. Through the parent training programs, group work and non-judgmental support, Mina slowly displayed signs of trust and openness. Mina started to communicate to staff in a less defensive manner and was receptive to staff. She finally agreed to be referred to Case Management and receive legal aid. This made a huge difference to Mina, she now has a team of support workers helping her in all aspects of her journey. There has been continued liaison amongst NewPIN, Care & Protection, Barnardos, Case Management and ADACAS. Mina for the first time feels that she is connected, well-informed and supported. She is now feeling confident that through the continued support she is receiving, she can manage to improve her parenting and address CP’s concerns in the hopes of having her child restored to her care. #Data gathered from interviews and feedback forms/ surveys completed by the Newpin participants. The Snow Foundation has been an incredible partner to work with in the ACT. The sincere commitment of time, energy and resources from the Snow Foundation, and the family behind this great organisation, has enabled our programs to experience the success we have in the Nation’s Capital. Australian Indigenous Mentoring Experience (AIME) provides a dynamic evidence-based educational program that gives indigenous high school students in years 7 to 12 the skills, opportunities, belief and confidence to finish school at the same rate as their peers. AIME also connects students with post Year 12 opportunities, including further education and employment. After an inspirational meeting with Jack Manning Bancroft, Founder and CEO of AIME in 2009, Georgina Byron was determined to get AIME up and running in Canberra. In 2013, The Snow Foundation pledged $200,000 to be spent over 4 years to assist with setting up Canberra based programs. After an initial feasibility study on the ACT, $60,000 was put towards developing programs with the University of Canberra and the Australian National University, including an outreach program. The AIME target of working with 100 Indigenous students across Canberra and the region within the first year was met. The next step for AIME’s Canberra operations, in partnership with the Snow Foundation, is to increase the access and the number of Indigenous Students participating in AIME’s Programs across Canberra. The Snow Foundation has committed $95,000, over five years, to the Royal Agricultural Society Foundation (RASF) NSW for Rural Youth Scholarships. This funding provides scholarships for tertiary education and training for local socio-disadvantaged rural students to achieve their education goals. In 2014-2015 scholarships were awarded to four students from Burrawang, Murrumburrah, Ulladulla and Yass. These students are pursuing careers in medicine, education, disability care and veterinarian studies and have a great interest and commitment to returning to rural NSW to work. For one student a career in medicine was ignited in primary school and reaffirmed in high school during a work experience placement with a rural GP. Now in the second year of a Bachelor of Medical Studies/Doctor of Medicine this student after graduating aims to bring attention to the vast specialist shortage in rural areas and improve rural health care in his area. Completing a Bachelor of Occupational Therapy is a life-long dream for another student with a passion to help people. Being raised in a small rural community, it became obvious that there was a need to improve health care access across rural Australia. On completing the degree, the plan is to gain experience in several areas of occupational therapy including the elderly and traumatic brain injury. The learnings, knowledge and expertise obtained will allow this student to teach people skills and strategies to make their lives more comfortable and enjoyable. Growing up surrounded by farms ranging from dairy to poultry, with strong rural roots saw our third student’s passion for animals flourish. A long ambition to help secure the future of rural NSW through work as a Veterinarian this student plans to assist primary producers to maximise productivity, improve animal welfare and profitability to ensure the animal production industry remains viable for future generations. Completing a first aid course led the fourth student to enrol in a Bachelor of Advanced Nursing. Growing up in a rural community at the south coast this student observed the gap that exists between the city and country in the area of health care. Being active in the community via school and sporting activities has given this student the passion to be an ambassador for equity in rural health. Dr Nicholas Cole and his research team at Macquarie University have made great progress in their journey to finding a cure or treatment for Motor Neuron Disease (MND). The team uses zebrafish, an established research model, in their laboratory to generate zebrafish models of the disease to understand how motor neurons die in MND patients. This is possible as zebrafish are transparent and, at a cellular level, have the same nerves and muscles as humans. This means that the degeneration of motor neurons can be seen in a living animal, giving clues into the biological origins of the disease. The Snow Foundation provided equipment for the fish lab to assist establishment in 2009, and since then have supported the salary of Emily Don a scientist who has subsequently gained her honours degree and PhD. Together Dr Cole and Dr Don have generated good data enabling them to publish papers in high profile journals including Nature, Frontiers in Neuroscience and Nature Communications. The laboratory has expanded and now supports a full time fish room technician, and has more than 20 users including six PhD students who are currently studying in the laboratory. “In addition to the significant increase my research output, I have made substantial steps towards training the next generation of medical scientists. In 2017 I am focusing on determining how the most common genetic cause of motor neuron disease, the C9orf72 repeat expansion, causes the loss of motor neurons. My aim is to generate zebrafish that contain long repeat sequences in order to study and understand the basic biological processes that result in motor neuron death. Macquarie University has assembled the nation’s largest and first dedicated MND Research Centre with a specialised team of researchers in genetics, biochemistry, cellular biology and animal models. Our multidisciplinary team are collaborating and dedicating our working lives to better understand and beat MND. 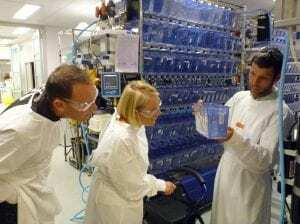 Dr Nicholas Cole shows a MND patient the Zebrafish models used to try to understand the causes and cure MND. One Disease’s mission is to eliminate Crusted Scabies as a public health concern from remote Indigenous communities in Australia by 2022. 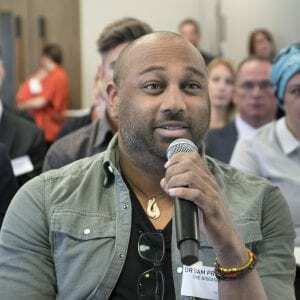 One Disease has worked with over 90 Crusted Scabies patients and healthcare providers in the Top End of the Northern Territory since 2011, with early seed funding from The Snow Foundation for their ‘Healthy Skin Program’ in East Arnhem Land. They have made incredible progress and are now working in 28 communities across the Northern Territory. Crucial to their success is their approach. The ‘Healthy Skin Program’ is culturally respectful and has been developed in partnership with the Indigenous communities. In the past year, The Snow Foundation’s support has largely been for the Indigenous community of Maningrida, where five patients with Crusted Scabies receive ongoing support to work towards self-management. This work has improved the lives of so many like Adam’s family whose children had recurring Crusted Scabies for four years, prior to the help of One Disease. “It’s been six months since the children were treated in hospital and we have not seen white crusts since. Thanks to One Disease, our family are no longer itching and scratching, fighting this mite. I don’t have to warn friends and family not to hug the children. I feel safe knowing scabies has gone and so has the risk of serious long term health issues,” Adam’s story. One Disease is working to put Indigenous health back in the hands of the Indigenous people. They encourage education and embed systems that allow for ongoing self- management of Crusted Scabies on a local level - to make sure that Adams story isn’t repeated. Rheumatic Heart Disease often commences with a scabies infection and is 100% preventable yet our Indigenous Australians have amongst the highest rates in the world. To raise awareness and assist with prevention, The Snow Foundation provided funding for a documentary film, tool kit, two smart phone apps and medical research. The rheumatic heart disease documentary titled “Take Heart” is supported with a free action tool kit for communities, schools and clinics. This film premiered in March 2016 and has been screened around the country and on SBS. With sponsorship from BUPA, 14 short films and action tool kits have been distributed to Top End health clinics and some schools. The Snow Foundation and Aspen Foundation hosted a screening for politicians at Parliament House, in October 2016. For more information see http://www.takeheart.tv. Without a vaccine, indigenous children must take penicillin every month, on time every time for the rest of their lives. The two smart phone apps have been developed to enable kids to stay on track with their penicillin injections, as currently only 50% are on time. The medical research into a vaccine for rheumatic heart disease is headed by Professor Michael Good AO, a National Health and Medical Research Council Senior Principal Research Fellow at Griffith University. ABC offers a loan program for local women (and men) who have escaped from violent situations and need urgent financial assistance, but are ineligible for low-income government support. The Snow Foundation supports activities that provide people with the opportunity to change their lives and Common Ground has proven it can do this. Common Ground is an effective housing initiative focused on providing quality outcomes for people who have experienced chronic homelessness and low-income earners who are unable to access other affordable housing options. Canberra, with its large homeless population and a high cost of housing, has a need for safe, permanent and supportive low-cost housing. In 2010, the Snow Foundation provided $10,000 for a feasibility study for a Common Ground in Canberra. Following the positive results of the feasibility study, Georgina Byron, CEO of The Snow Foundation pledged $500,000 in 2012 to assist with making Common Ground Canberra a reality. This was a strong catalyst for the ACT and Federal Government’s support which was absolutely critical for the project to proceed. 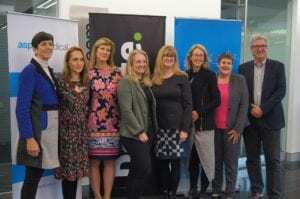 The ACT Government and a wide range of business and community groups working together demonstrating that the Canberra community is determined to address and solve homelessness. In July 2015 Common Ground opened and it now provides 40 units and common living spaces that are all tenanted providing hope and encouragement to people that never thought they would find a permanent home. It also gives hope to the whole community that by working together we can find solutions for homelessness in Canberra. A Common Ground tenant remembers meeting Elizabeth Dawson, the founder of Common Ground, at a community day, and he said he was so pleased to meet the lady who made Common Ground happen. He thought he had it rough but when he found out Elizabeth was very ill and nearly blind he reflected that he wasn’t doing so badly after all. This tenant had been in rehabilitation for two years before he was offered a place in Common Ground. He said Common Ground was the best and most beautiful place he has ever lived and now that he had his confidence back he was ready to start working on getting a job. Another tenant sells the Big Issue 6 days a week, a role he is very proud of and believes it is the best job ever. With a work ethic of being polite, respectful and not trying to bully people in to buying the magazine helps him sell the Big Issue all over Canberra. He also says he has the best home ever. 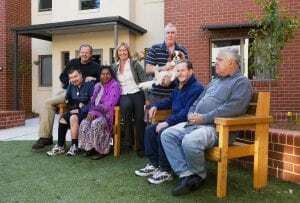 The Vision of Home in Queanbeyan (HOME) is to create a safe, supportive home for those who have been forgotten and abandoned by the community at large; a place where the homeless, mentally ill - and those incapable of living independently - can live with the dignity and love they deserve. The Home in Queanbeyan (HOME) will be a residential home, not institutional that will be purpose built to provide 24 hour care and accommodation to 20 people with chronic mental illness who are without proper shelter, care, love and support; or may be in need of short term respite care. Residents will receive medium and long-term care within their own self-contained, one bedroom units (with 2 dedicated to respite care). There will also be communal areas for dining and recreation. HOME hopes to inspire others to do the same and it is the beginning of a cultural shift in which communities lead the way in taking responsibility for citizens who are extremely vulnerable, isolated, and often homeless. When HOME is established, there will also be a need for many willing helpers to ensure that the commitment of the Queanbeyan community can be maintained over many years - this is not a short-term dream. Open Family Australia is a non-profit organisation that supports young people at risk. It helps locate emergency or long-term stable accommodation and puts young people into contact with support agencies. It also provides advocacy services for the young and offers assistance in order to keep medical appointments. Because of the support of the Snow Foundation, Open Family Street Outreach workers like Peter Schwarz are on the job 24 hours a day, 7 days a week. They aim to reconnect young people back into the community through education, health and community programs. By providing assistance at all hours of the day, Open Family ensures that these young people receive the assistance they need to get back on track. ‘The Open Family Outreach service is solely funded by donations, so any financial support is greatly appreciated and the money donated by the Snow Foundation goes into visible benefits by providing support to local people who need help,’ says Schwarz. For the first time generous businesses will have an easy solution to donate excess stock to people in need. The seed funding provided by the Snow Foundation has enabled us to become fully operational and since our launch a few weeks ago we have more than $3 million worth of donated goods. Good360 provides charities nationwide with access to free, new goods donated by businesses, enabling charities to save money, expand programs and strengthen their impact. Products include toys, clothing, beauty products and bedding. Charities simply pay a once off $250 annual membership and receive products for free, they just need to pay for freight cost. Since launch in March 2015 to November 2016, Good360 has received millions of excess goods from 40 retailers and re-distributed $3m worth of goods to 400 charities. Good360 provides a social and environmental solution by helping charities help individuals while reducing the negative environmental impact that occurs with unwanted goods going to land-fill. The Snow Foundation has worked with Good360 since 2014 when we gave $100,000 to fund the development of the Good 360 GivingPlace software that provides the platform for donations and distribution. The foundation also committed $25,000 to Good360 for operational funding. In 2015 the Foundation committed $100,000 per annum for 3 years for operational resources and together with a team of 8 funders collaboratively funded the first 3 years of operations to the value of $1.5 million. The Snow Foundation has also paid for over 50 charities to have a Good360 annual membership. This provides them with free products which may be items that are essential or even a little bit special like the products Dad’s Place ordered. Dad’s Place is a home that fathers who are separated can spend time with their children overnight. It provides a suitable and a familiar and safe accommodation and it encourages fathers to address the issues that may be a barrier to resolving their homelessness. Dad’s Place received many amazing products and goodies from Good360 - sheets, doona covers, pillows, towels to improve the home. They also received “Welcome Packs” which include basic needs such as toiletries, and a small gift for each child. By ordering from Good360 they have the benefit of being able to obtain a higher quality product – Lush men’s packs which were a real treat with the Dads. The cost savings have allowed them to make their donated dollar go further by purchasing more essentials therefore assisting more families.